While competently written and fairly pleasant to read, I can't imagine any audience for this book beyond active Latter-day Saints for this Whitney Award finalist. Kate Sinclair is an orphan. When her parents died in a car accident when she was 7 or so, she went to live with her aunt and cousins - one of whom, Leslie, is very close to her in age - in a small town in North Carolina and became part of their family. When she grew up, she left the small town for the big city, becoming a powerful career woman, neglecting her family back home. She didn't even return for her cousin's husband's funeral, leading to hard feelings and more distance. At the beginning of the book, she receives word that her aunt, the one who took her in and raised her, has passed away from a sudden heart attack. With a heavy heart full of regret for missed opportunities, Kate returns home for Aunt Mary's funeral and to try to repair the damage done to the other family relationships. 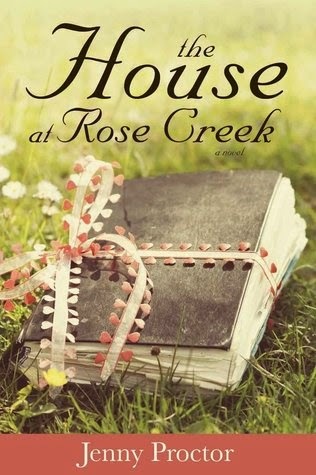 When Mary leaves her the old family home, she is shocked and has to determine what to do with it, sell it and go back to her life in Atlanta, or decide to live there and focus on family. To complicate matters, it's discovered that a new freeway is planned to go straight through the property and it's up to Kate to fight the county commissioners and save the house. Honestly, I think there's plenty of a plot right there to hold a book together, interpersonal conflict, repentance and forgiveness, family relationships, fighting the bureaucracy to save the family home. But Proctor tosses in a few more things for good measure and, I think, overburdened and weakened the story because of it. Of course, Kate meets a mysterious, attractive man - Andrew - while out running, so there's a romance factor - and you all know how I feel about romance ("some connection, some mystifying force of gravity, was pulling her in, grasping tiny pieces of her soul, and one by one, tying them to his..." Oh, blergh!) - but then there's also a religious conversion plot inserted as well. Spurred by her discovery of an ancestor's journal, she starts researching family history after a couple of LDS missionaries happen to show up on her doorstep at just the right time. Initially she's not interested, but when one of them echoes almost word for word some comments made in her ancestor's journal about awaiting a restoration of the gospel, she invites them to sit on the porch and share their message. They end up talking for a couple of hours. There's quite a bit of fatalism implied as one of the elders explains: "I was driving...God might as well have dropped a bowling ball on the brake pedal for how sure I was we needed to turn down your drive. He wanted us to find you. I'm sure of it." Anyway, her family is none-to-pleased about this new development, and are instantly suspicious that her new flame is the source of this new interest in religion since he's LDS as well, a fact that Kate didn't know when she first met the missionaries. They are unhappy with her investigating the Church and it adds additional stress and tensions into relationships that are just starting to mend. I found the family relationships much more intriguing than the romantic one, including Kate's growing love for her ancestors as she learns more about them and their lives. However, I thought that the conversion plot was just too neat and convenient. And frankly, I was really upset at the very end when Proctor chooses to close the book with a short passage about *spoiler alert! * Kate and Andrew's temple wedding: "They waited until spring when Kate was able to go to the temple. On the anniversary of her baptism, Kate entered the Lord's house and married the man of her dreams." Really? After working so hard to rebuild relationships with her family, why would she deliberately choose a path that would cause further resentment and hurt feelings among her family, already uncomfortable with her new faith, especially when there was another option? Being a new member of the Church, it would have been perfectly acceptable for Kate and Andrew to be married civilly before she'd been a member for a year and then to get sealed to Andrew in the temple on the anniversary of her baptism. That would have allowed her to both follow her faith and honor her family relationships, both of which are constant themes through the rest of the story. Instead, Proctor had her character modeling behavior that has driven a wedge through the heart of several families I know. It seemed out of character for Kate and I was very disappointed in that choice.